The finalists have been announced for the second annual Scarborough UK Awards to celebrate the work of Scarborough's venues, restaurants and cultural institutions. There are a number of categories including best local attraction, best bar and best entertainment venue and Scarborough Jazz Festival has been announced as a finalist in two categories - Best Cultural Attraction and Best Event. Voting is open until September 6th and winners will be selected solely on public vote. 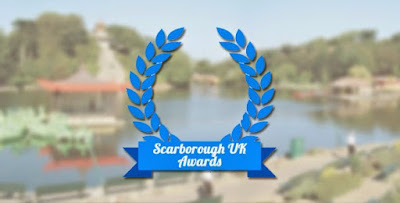 The voting form is available on the Scarborough UK website and is very easy to fill out (if you don't wish to vote in every category, you can click categories by selecting 'continue' at the bottom of the voting form).